Actor, star, and perhaps one of the brightest spots in Hindi films, Vicky Kaushal is many things. It's been a wonderful year for the actor, who has played a supporting character with nearly as much elan as Ranbir Kapoor in Sanju, and shared the proverbial spotlight with Alia Bhatt in Raazi. Not only has he been a part of two of the year’s biggest hits but also featured in Netflix’s Love per Square Foot and Lust Stories. He also ended his year on an unexpected high note with the trailer of his first bonafide Hindi film lead, Uri: The Surgical Strike. 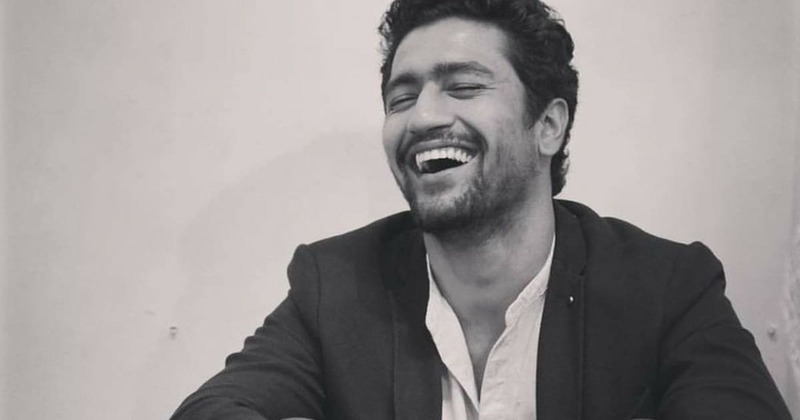 Vicky Kaushal, the son of action-director Sham Kaushal, seems to be a throwback at the bygone era. Cut from the same fabric of an Amitabh Bachchan, Shah Rukh Khan and Manoj Bajpayee, Kaushal’s journey as an actor has seen go from blink-and-you-will-miss kind of parts to a full-blown force to reckon with. Kaushal’s big break came when Neeraj Ghaywan, a fellow traveler in camp Anurag Kashyap, cast him in Masaan after Rajkumar Rao reportedly backed out. The film went on to win global critical acclaim at the 2015 Cannes Film Festival and introduced the world to Kaushal, the actor. He then played the second-lead in Kashyap’s Raman Raghav 2.0 (2016) but despite getting good reviews for his unhinged cop in pursuit of a serial killer, the film was a failure and the other release that Kaushal had in the year, Zubaan, also fell short. Kaushal did not have a single release in 2017 but this year was nothing less than perfect for the young actor. In a single year, Kaushal has played everything from a classic lead (Love Per Square Foot, Manmarziyaan), the second-fiddle (Raazi) and the classic supporting number (Sanju). Kaushal’s Kamlesh “Kamli” Kanhaiyalal Kapasi is said to be based on a number of read life friends of Sanjay Dutt and Kaushal’s effortlessness made Kamli one of the best things about Sanju, which otherwise left a lot to be desired. The film also gave him a chance to display his comic timing, a much-needed trait that invariably becomes the difference between successful actors and superstars. Kaushal has a dedicated fan base thanks his choice of films that have continuously gone against the norms set by commercial Hindi cinema. His ease in switching between formats and genres had established himself as the go-to person for different kinds of projects. He fits in like a glove. The manner in which an Ayushman Khurrana or a Rajkumar Rao have placed themselves barely leaves the space for anyone else. What makes Kaushal stand apart is his ability to not be limited to the notion of playing the classic lead. Not yet, at least. Khurrana’s success in 2018 Andhadhun and Badhaai Ho project him as the leading man, which might limit his zeal to take on something where he could explore untapped aspects of his talent. In Rao’s case, the ability to surprise the audience seems to be waning away not for any other reason but that one has come to expect the unexpected from him. Unlike these two, Kaushal appears to be plotting his trajectory better. Besides becoming a regular face in television advertisements, which is also a barometer of sorts to gauge stardom in India, Kaushal will soon be seen in two films that could elevate him to the next level. He is going to feature in Karan Johar’s Takht where he will play the stylised villain/parallel lead in the historical film, that is said to be based around the feud between Aurangzeb and Dara Shikoh. There's also the upcoming action drama Uri: The Surgical Strike. The film is as mainstream as it gets for Kaushal and it also checks the only missing genre from his roster.